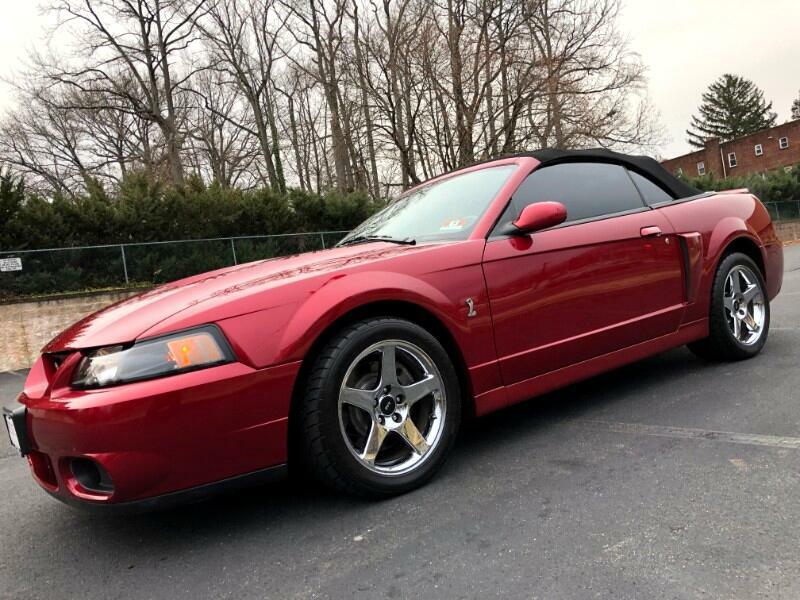 Rare 2004 Ford Mustang Cobra Convertible with only 28,120 Miles in Perfect Condition with Minimal Signs of Wear and Tear. Babied and Garage kept with Dealer Maintenance Records Available. Feel nearly 400 Horsepower of Raw Power with 6 Speed Manual Transmission. Original Purchase Certificate Available with this Particular Cobra being Number 1191 of 1896 total Produced. Upgraded Brakes, Rotors and Brand-New tires with Original Factory Brakes and Rotors available. Power Convertible Top, 2 Toned Leather/Suede Seats, MACH Premium Sound System, Fog Lights, Cruise Control, Power Windows, Power Locks and more.